Room 5: Fun with Mrs Prattley and Room 6. 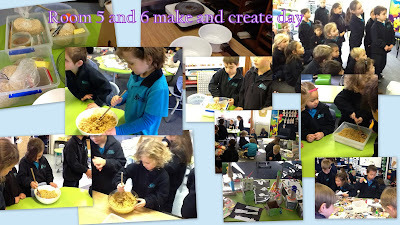 Last week Room 5 & 6 had great fun during their make and create day. There were some amazing creations made out of various materials. The students were lucky enough to make some yummy honey bubbles too, they were yum! Above are some photos from our fun day.